This Kenmore 6.5 cu. ft. electric dryer was designed to protect the life of your clothing while making laundry a quicker, more convenient task for you. 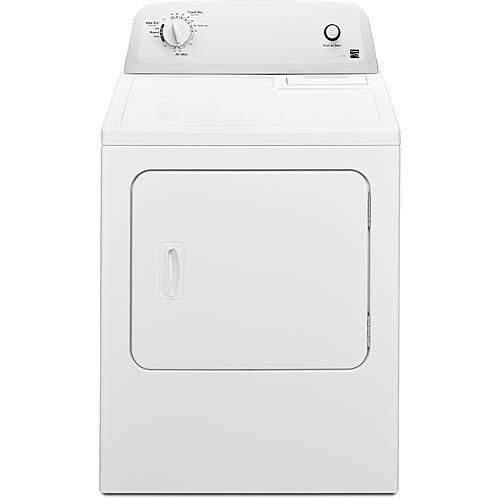 Features like the Wrinkle Guard Option help to prevent wrinkles from setting in by tumbling clothes periodically for up to 40 minutes after the cycle is done and keeps your items ready-to-wear. The air-only option and 3 dryness settings let you fluff clothing and prevent delicate items from overheating or being damaged. Includes power cord & vent hose.